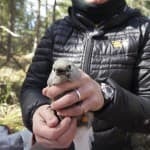 Research looks beyond symbiotic relationship between Clark’s nutcracker and whitebark pine trees to species’ reliance on broad habitat mosaic. 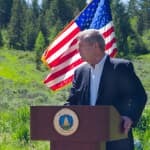 U.S. Secretary of Agriculture Tom Vilsack said his agencies can be “better partners” with states, but that the federal government won’t divest western land holdings. 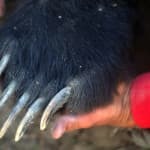 Wyoming Wilderness Association will host 17 outings across the state this summer, offering opportunities to explore a wide variety of terrain on FREE hikes led by experts in the field. New study shows yearlings moved due to management issues can lead productive lives with or without the mother. 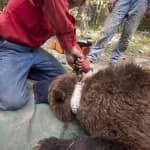 Agencies, companies have different policies to protect workers in grizzly backcountry; few have written requirements mandating carrying bear pepper spray.